Certain items will require a waiting time of 2 weeks. Please refer to individual product listing to view product status. If your order contains one or more pre-order items, there will be an order lead time of up to 3 weeks regardless of shipping method. The shipping methods for Singapore are described below. There is a minimum checkout amount of $10 per cart. Free local shipping applies for orders above $50. Orders process time typically takes between 3-5 business days (not including weekends or holidays). The shipping methods for Singapore are described below. If you’re wondering exactly how much to pay for shipping, simply add items to your shopping bag and the charges will be calculated for you at checkout. Please note that if there is a backorder, the package would be on hold & dispatch only when all items are fulfilled. 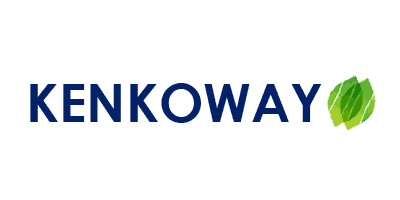 After processing, orders are shipped from the Kenkoway warehouse. If an invalid address was provided at the time of order, you will receive an email from Customer Support Team requesting a new address to ship to which may prolong processing times. You will receive a confirmation email once your order is shipped. Domestic orders are shipped via Road Bull Courier Service which will take another 1-3 days. The local parcel delivers packages Monday through Saturday. We ship internationally do check the rates during checkout. A tracking number will be emailed to you shortly after the parcel has been dispatched for you to track the status of your parcel. Should there be a failed delivery, Roadbull will get in touch with you to arrange for a re-delivery. *These prices include all shipping and handling costs. **The above estimates are subjected to changes by 3rd party shipping courier and not guarantees of delivery times, it does not include processing time or back order waiting time. Custom taxes may be required from your country. Please do check with your customs side in any occurrence that parcel has reached your country. Opening hours: 10.30am to 6.00pm Mon-Fri. We are closed on weekends and public holidays. Please call in advance (tel 62809033) to book an appointment with us as we may be out for urgent deliveries or errands.